Now you’re talking ‘express’ delivery! 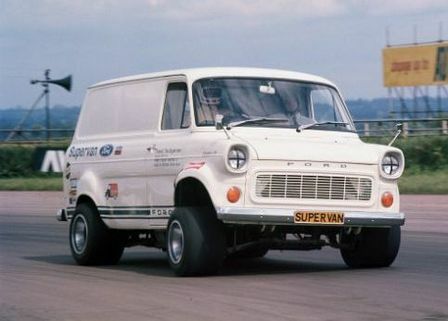 Biglorryblog is indebted to Dave Hill at Ford Motor Company for kindly providing me with these ‘heritage’ PR pictures of the original Ford Transit Mk 1 Supervan. Thanks Dave! 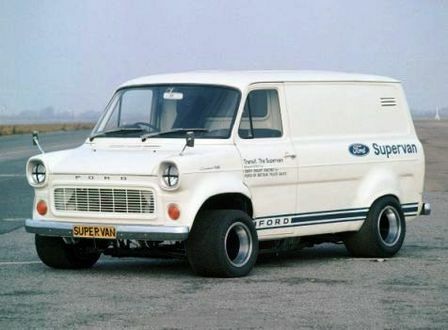 (And please note these images are copyright to Ford Motor Company and NOT for downloading/copying etc) Now click through here for more…..
As I understand it the original Supervan had a mid-mounted five-litre Gurney Westlake Ford V8 engine as used in the old GT40 Ford Le mans car…with four Weber carbs and five-speed ZF box—so it was pushing out around 400hp! 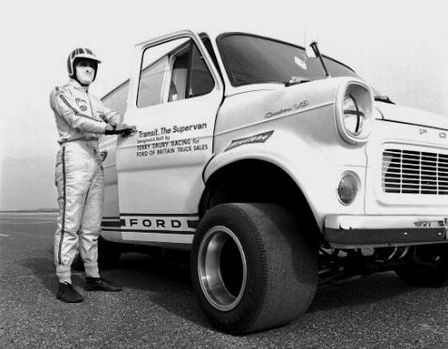 Not bad for a one-tonne panel van..
Don’t you just love those big boots! 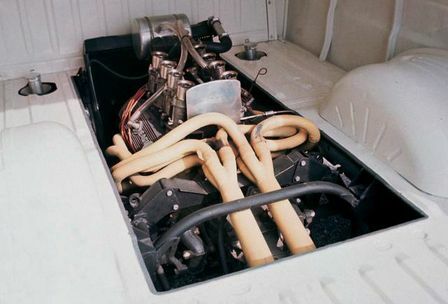 Top speed was nudging the 150mph mark while first gear got you close to 50mph!